You can actually have breakfast at Tiffany's. The luxury jeweler introduced its "first ever retail dining concept," called The Blue Box Cafe, last week as it unveiled a fourth-floor renovation of its Fifth Avenue flagship store in Manhattan. 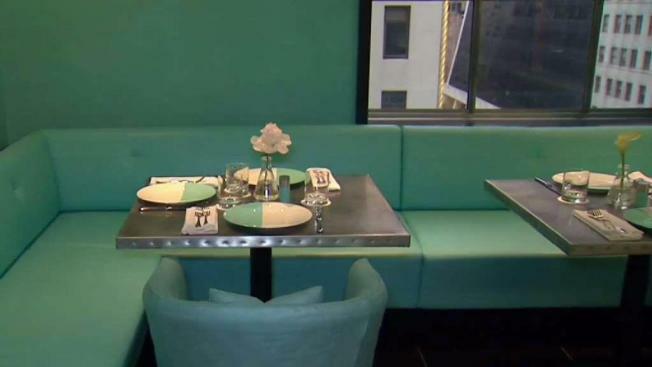 Decked out in the famed Tiffany blue, the new cafe features a simple menu -- subject to change throughout the seasons -- of American classics made with regionally sourced ingredients and "reinvented to be uniquely Tiffany," the jeweler said. For breakfast, diners can enjoy coffee and croissant for $29, served along with a choice of avocado toast, truffled eggs, buttermilk waffle or a smoked salmon bagel. Lunch is a flat $39 fee and includes an appetizer and sandwich- or salad-style entree. Vanity Fair described it as feeling as if you're dining inside one of Tiffany's iconic blue boxes. The cafe will be open during regular business hours. Eater published the full menu. The redesigned fourth floor also houses Tiffany's new Home & Accessories collection, as well as a baby boutique, a fragrance laboratory and more.